First off, you’ll find a warm welcome at St. Antony’s. You’ll be greeted and handed a bulletin as you enter. There’ll be lots of activity in the entry before the service with people greeting each other and preparing for the service. Enter the sanctuary and make yourself at home. We usually prepare ourselves for worship by sitting in silence as we listen to the music prelude. The service begins with the opening hymn as the processional party of cross, torches and clergy enter. The bulletin has everything you need to follow the service. Well, except for the hymnal, which can find in the seat racks. We stand, kneel, and sit for various parts of the service. Just follow along with the crowd as you see fit. You may observe people making certain devotional actions such as bowing as they enter, or making the sign of the cross. You may join them or not, as you prefer; we’re comfortable with a wide variety of observances. There is no “right way” to do things. The most important thing is to enter into the presence of God during worship. The second half of the service is Holy Communion. This is the time when we remember the meals that Jesus ate with his disciples, especially the Last Supper on the night before he died. 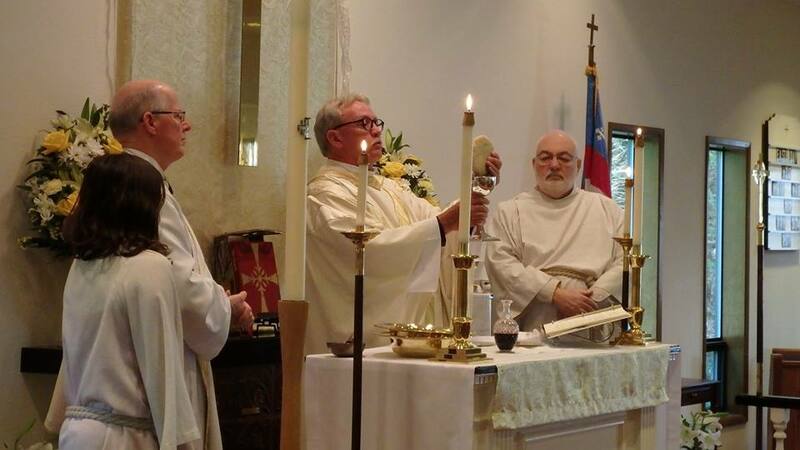 The priest recites the Eucharistic Prayer in remembrance of God’s saving deeds, and we all come to the altar rail to receive the consecrated bread and wine, the reminder that we are saved by Christ’s love. All people are welcome to receive the bread and wine at St. Antony’s. The priest will give you a piece of bread and say, “The body of Christ, the bread of heaven.” You may eat the bread and take a small drink of wine from the chalice, or you may hold the piece of bread until the chalice of wine comes, and then dip the bread in the wine before eating it. If you prefer, you may cross your hands over your chest, indicating that you don’t want to receive Communion, and the priest will give you a blessing instead. Or you may decide to stay in your chair and watch as people come to the altar rail. It’s up to you. After the service is over, you’re invited to join us in the parish hall for coffee and refreshments. You’ll find a cozy room with lots of people, children, and plenty of snacks on the tables. Get a plate of goodies and someone will join you in conversation. Or, if you’re more of an introverted person, you may prefer to slip out the front door and skip the refreshments. That’s okay, too — we understand. Our early service is quiet and dignified, using the stately language of the Book of Common Prayer, Rite I (you’ll hear “thees” and “thous”). There is no music at this service except for a chanted introit, so you can focus on the quiet rhythms of worship without distraction. 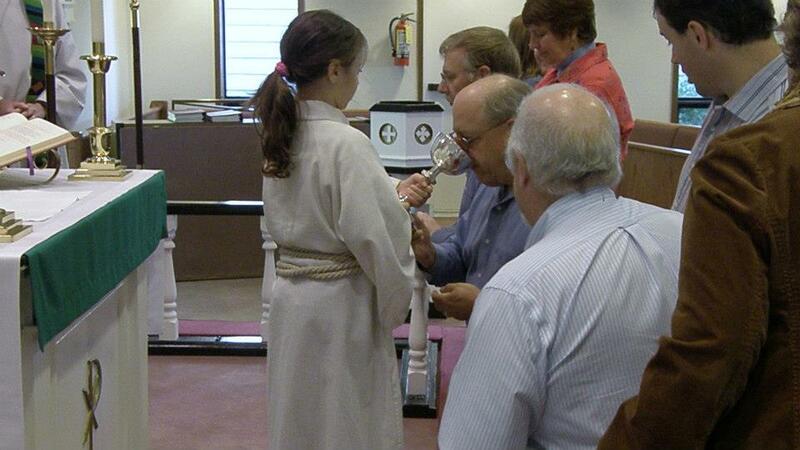 We celebrate Holy Communion every Sunday, and all are welcome at the Lord’s Table. There’s no coffee hour after the service, but you’ll probably be invited out to eat breakfast at a local restaurant with our gregarious breakfast group.